I had the honour of being invited to speak at this conference and met some really great speakers, it was truely inspiring. 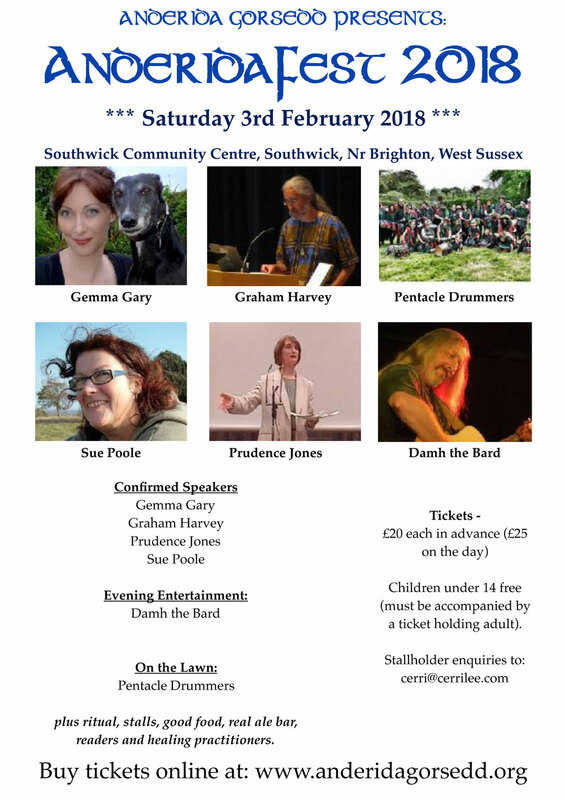 In February I spoke at AnderidaFest it is a fantastic pagan conference. Speaking at the Conference was a delight with the added excitment of joining these great names for questions and answers. Talk on The English Runes at the Weald and Downland Living History Museum. Come along for a visit; there is plenty to do in this beautiful museum, including some of the most wonderful homes Sussex history has to offer. This is the museum’s newly built Anglo-Saxon Hall House opened in October 2016. Spot the windeyes!! they are the tiny little diamond shapes in the uprights. If you click on the picture it will take you to their website. ​Three Elder runes that are familiar to many of us, runes frequently called across the British Isles. But what about the English Runes? Old English runes steeped in the heritage of our ancient land. In this talk I shall be introducing the English Runes through an interactive presentation. We will briefly look at their history and culture from the 10C Old English Rune Poem to Tolkien. Then we will explore their uses in ritual and magic before singing the runes together in an attempt to breathe life into our ancient past.